On Our Radar: U.S. Sues Arizona, Oakland Preps For Verdict In Murder Trial : Tell Me More Lee Hill takes you inside stories on the Tell Me More radar -- a White House lawsuit against Arizona, an ex-policeman in California on trial for murder and an unusual concert pairing with the Queen of Soul and a former Secretary of State. Hope you enjoyed the holiday weekend. We're back and in full swing on this end. Below are some of the stories this week that have our attention. Feel free to weigh in with your thoughts, or flag other items you think we should know about. The Department of Justice filed a lawsuit Tuesday against Arizona, questioning the constitutionality of a hotly debated law that aims to crackdown on illegal immigration in the state. The measure requires police officers to question individuals about their immigration status if they form a "reasonable suspicion" that a person is in the U.S. without documentation. The lawsuit by the Obama Administration follows a strong outcry by some political leaders and activists who say the law bears a striking resemblance to racial profiling by police, which is illegal. Although opposition to the Arizona measure has been high profile, a May poll shows that a majority of Americans find it reasonable, according to the Pew Research Center. 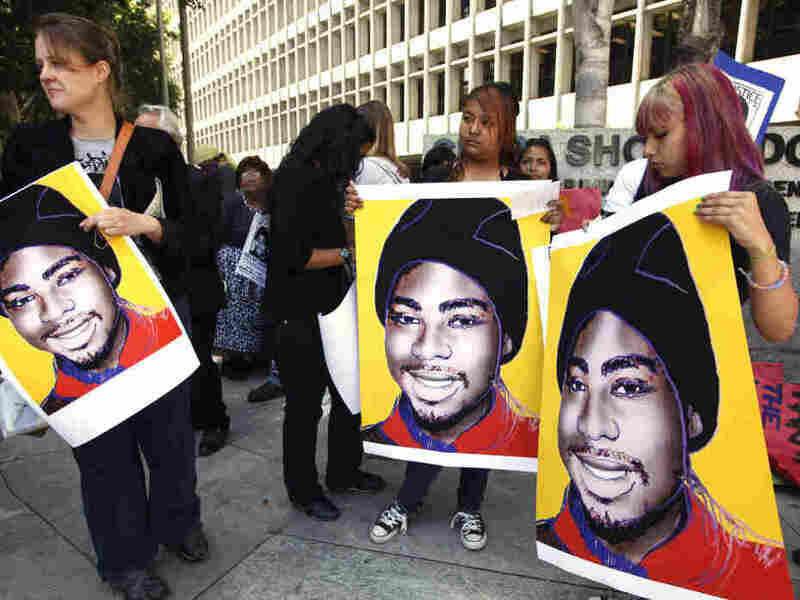 We're also awaiting a verdict in the murder trial of Johannes Mehserle, a former Oakland Bay Area Rapid Transit (BART) police officer accused of killing 22-year-old Oscar Grant in Oakland. Jury deliberations began on Friday. The case is loaded with sensitivities -- Mehserle is white; Grant was black and unarmed. The New Year's Day 2009 shooting was caught on videotape and resulted in rioting on the streets of the city. Although the court proceedings were moved to Los Angeles to help ensure Mehserle would receive a fair trial, Oakland police have already launched "Operation Verdict" and are prepared for more rioting if Mehserle is acquitted. Condoleeza Rice Joins Aretha Franklin ... In Concert? We learned today that Former Secretary of State Condoleeza Rice and the Queen of Soul Aretha Franklin will combine their talents on the big stage on July 27 at Philadelphia's Mann Center for Performing Arts. Rice, a classically-trained concert pianist, will accompany Franklin as she sings her hits (and a few arias). Among them, you guessed it, "Natural Woman."